Radio420™: Juggalos Are Now To Blame For The Events Of Woodstock 1999?! Brooklynvegan.com recently conducted an interview/story with Festival organizer Michael Lang (co-creator of the original 1969 Woodstock) for the upcoming Woodstock 50th Anniversary Festival in August. 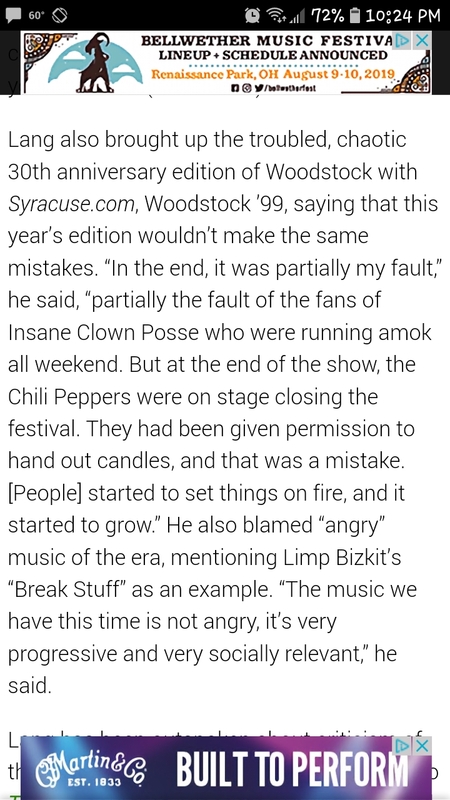 Inside the interview Michael Lang is now apparently retroactively partially blaming Jugglaos for the mayhem that occurred during the infamous Woodstock 1999. Its in the next to last paragraph of the story.